Screen printed signs on 6 mm white pvc to be routed out into 5 parts and bent for display stands. Buddy's sign made from 3-inch thick precision board. DRP specializes in routing plastic materials, but also routes wood products, as well as some metals (aluminum and brass). With a 52 x 108 ﻿cnc table, we can fit just about any job you require. Materials up to 3 inches thick have been machined on our router. DRP also does engraving and stencil cutting. 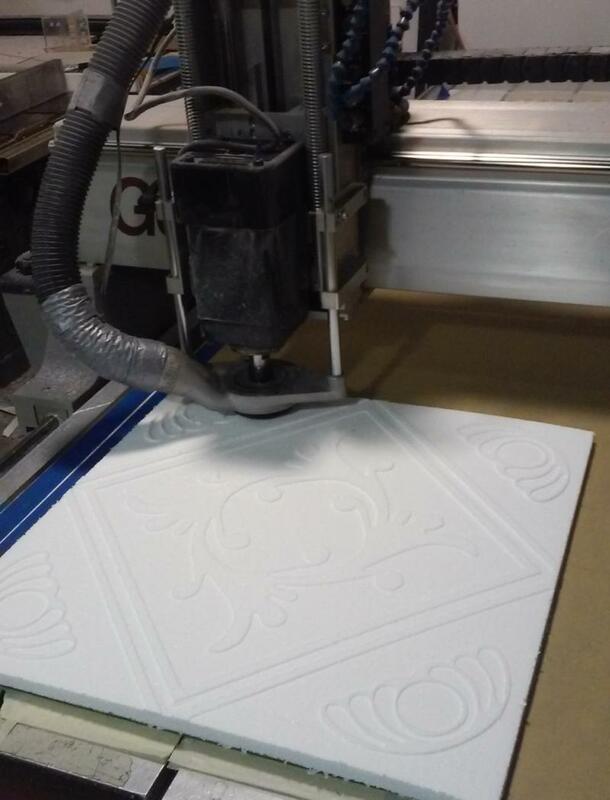 We have been servicing the sign industry, automotive racking manufacturers, custom-display industry, trade show exhibitors, and the screen printing industry to name a few. One-of-a-kind prototype work is also part of what we do here. We help get your ideas from paper to the production line. Jobs range from a single part to continued production with scheduled pickups.